When you get a Kobo Reader e-book device, they come with 100 e-books pre-loaded by the manufacturer. These e-books take up ~100MB of space on the device that you could be using to store your own e-books. These e-books are public domain books from long ago, and many of them are just not that interesting. Deleting the preloaded e-books prevents them from cluttering up the I'm Reading screen on the device. However, there is no option on the device's menu's for deleting e-books. You could delete e-books you added to the device yourself, by deleting them from the device's filesystem when it is attached to your computer; however, the pre-loaded e-books do not appear anywhere in the folders when your browse the device's filesystem. It turns out the pre-loaded e-books are stored inside a database on the device, unlike e-books you add yourself. So, the steps to remove the pre-loaded e-books from the device are a bit more complicated than normal e-books of your own. Connect the Kobo Reader device to your computer using a USB connection cable. 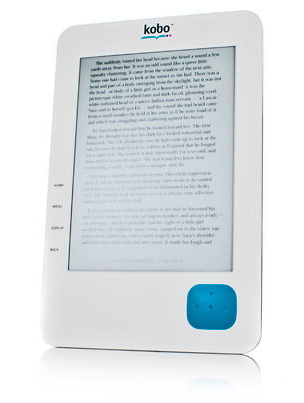 Browse the files on the Kobo Reader device that appears once connected to your computer. If you wish, you can back up the original Kobo files and folders found on the device onto your computer, for safekeeping in case you want the pre-loaded e-books back later. Delete the sqlite database file from the Kobo. Run the Kobo Desktop application on your computer, and let it connect to the Kobo Reader and automatically rebuild the database from scratch. When finished, safely disconnect the Kobo from your computer's operating system, and physically disconnect the Kobo Reader device from the USB cable. The device will re-scan for any e-books you previously added yourself, and add their details to its menu so you can read them later. You're finished! Deleting the preloaded books will give you back an additional 100MB of free space on the device for adding your own e-books! Many people on the web have said that the free Calibre e-reader management software	will let you manage and delete the pre-loaded e-books from the Kobo Reader. I installed the newest version of Calibre, but found no option or settings allowing management or deletion of the pre-loaded books on the device. This feature must have existed at some point in the past, but seems to have been removed from the Calibre application at some point (probably once additional Kobo devices were released without the pre-loaded e-books). The Kobo Desktop application will prompt you to upgrade your Kobo Reader device's firmware to v1.8. However, many people report problems with the newer software when reading books in ePub format, among other issues and complaints. None of the new features from Kobo in the new v1.8 upgrade were in any way compelling to me. I would strongly suggest you leave your Kobo Reader device at the older firmware version, unless you have a really good reason to want to upgrade it. The older firmware always worked fine for me.